For many of us, it all started with a friendly letter: "GREETINGS! 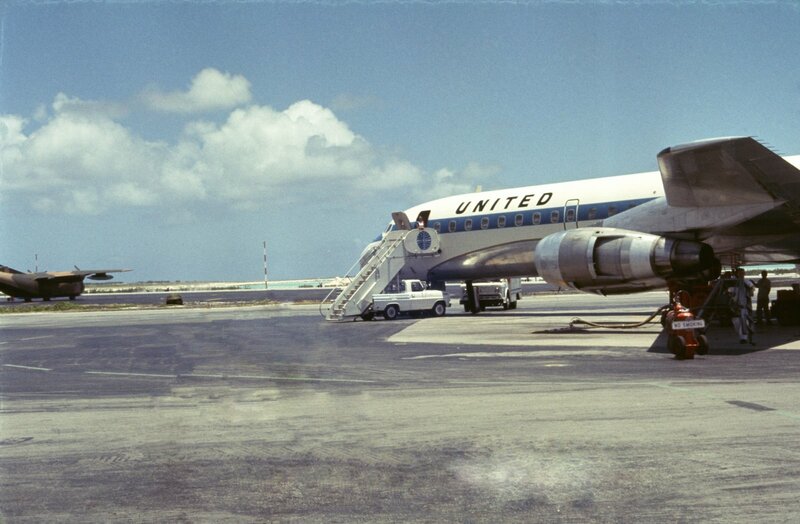 From the President of the United States....You are hereby ordered to report for induction……." 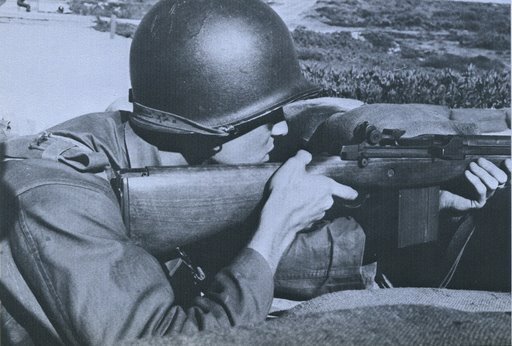 For most of us, it all started with Basic Training and Advanced Infantry Training at various US Army installations scattered throughout the United States. 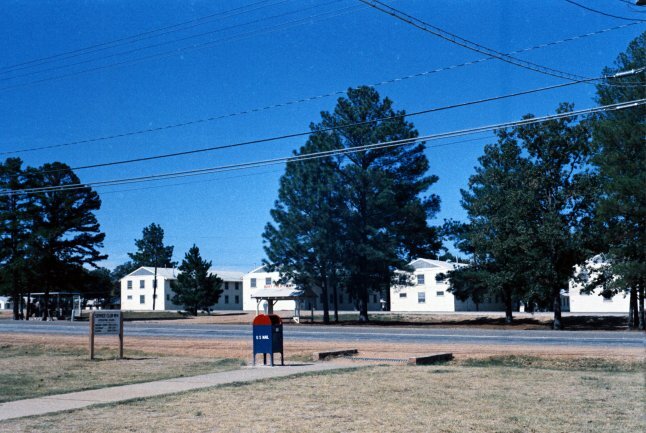 Although these training facilities were at different locations, they were all very similar, particularly the barracks, and the Advanced Infantry Training (AIT) program was exactly the same throughout the US Army. Even the entrances to these forts had many similarities. 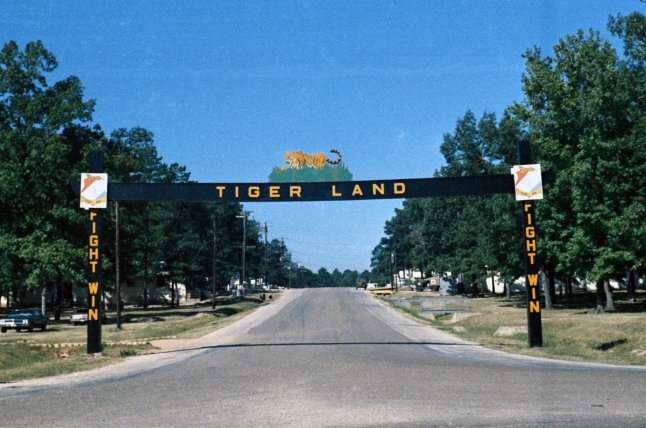 Take the notorious Fort Polk, Louisiana, and who can forget the intimidating gates of the "Tigerland Entrance". 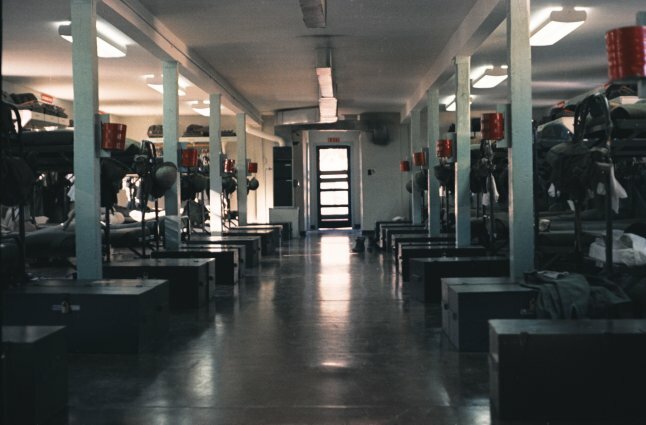 The layout inside of these barracks and the orderliness was a US Army standard in most training installations, like this photograph of Fort Polk. 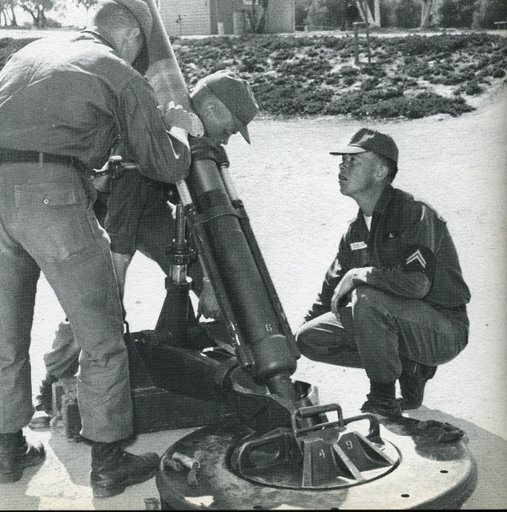 During the eight weeks of AIT, we received instruction on small unit tactics, weapons training and maintenance, and how to use a bunch of other equipment that was new to us. 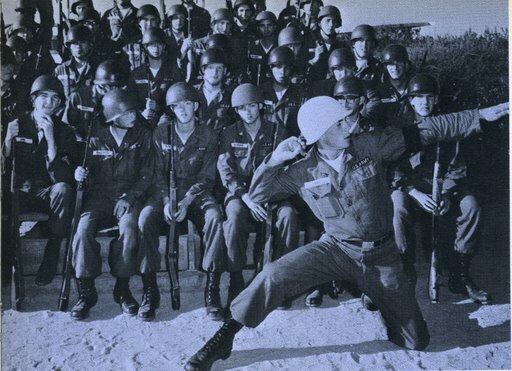 The first lesson to be learned was the military phonic alphabet. 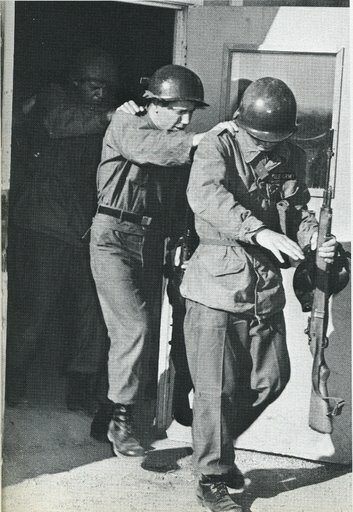 Many of us may remember walking fire guard in our barracks at night trying to forget the "ABCs" and memorize, "Alpha, Bravo, Charlie, ,,,,,," We learned basic tactics such as "fire and maneuver" on an enemy position, preparing night defensive positions, how to conduct an ambush, just to name a few. Who can forget the dreaded night of the "escape and evasion" course, they gave us a raw chicken carcass for supper (find your own firewood) and when it got dark they turned us loose in the pine forest with instructions to make our way to some objective without getting "captured". The poor guys who did get captured spent the rest of the night in a "Vietnamese village" complete with demonic "VC guards" and a lot of harassment. We also attended courses on map reading, how to use a compass, and communications using the PRC-25 Radio, (remember, it's "Say again" and not REPEAT! and 100 became ONE-ZERO-ZERO!). 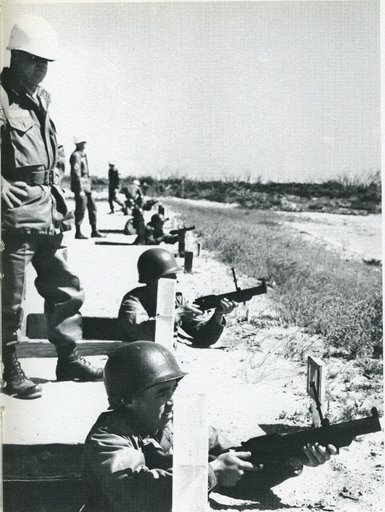 And we can all remember the pleasant Saturday afternoons spent with, among other things, becoming familiar with our favorite weapon, the M-16 Assault Rifle. Not all of our time was devoted to tactics, weapons and lectures. Somehow we found spare time in our routine to do some fun stuff – like PT and the mile run! 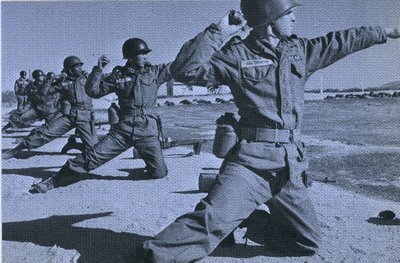 And when asked if we had enough, we dutifully responded with the required answer, "More PT drill sergeant!" 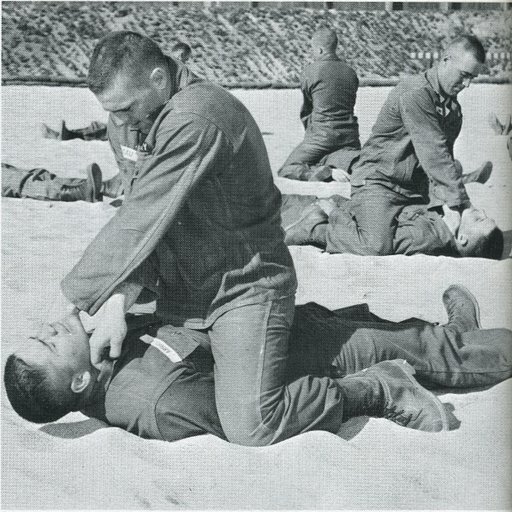 All this was to prepare us for the final physical proficiency test before graduation. 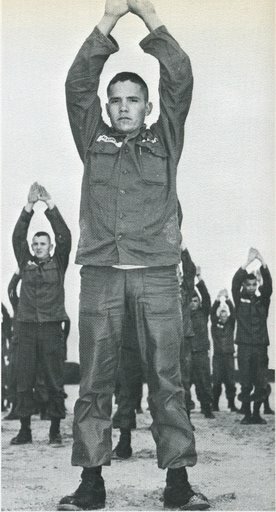 Occasionally they let us have a party – a GI party! The barracks didn't stay clean and orderly with a platoon returning from frolicking in the mud by itself, and Mom wasn't there to pick up our dirty uniforms. 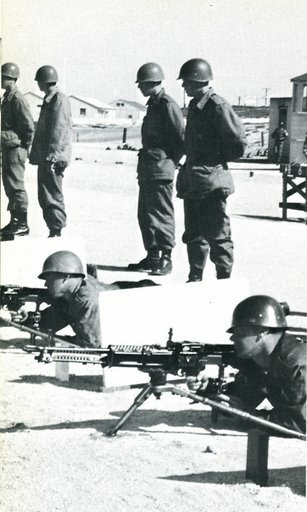 Every morning before training exercises was devoted to getting the barracks ready for the daily inspection. How many cans of Brasso did we use up polishing the plumbing and fixtures in those old barracks latrines? Signs like this were constant reminders as to WHY we were training and WHERE we were going. We learned many things during AIT, but the one that most of us learned by heart went something like this: "It's not your duty to die for your country. 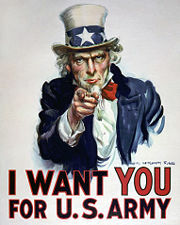 It's your duty to make an enemy soldier die for his". Having made the grade we anxiously awaited our orders for Vietnam. 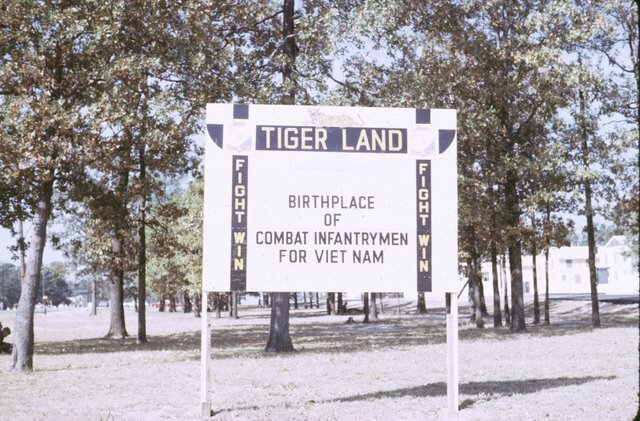 Naturally, every one wanted to be assigned to the 1st Cav Div, widely known as the best unit in Vietnam. 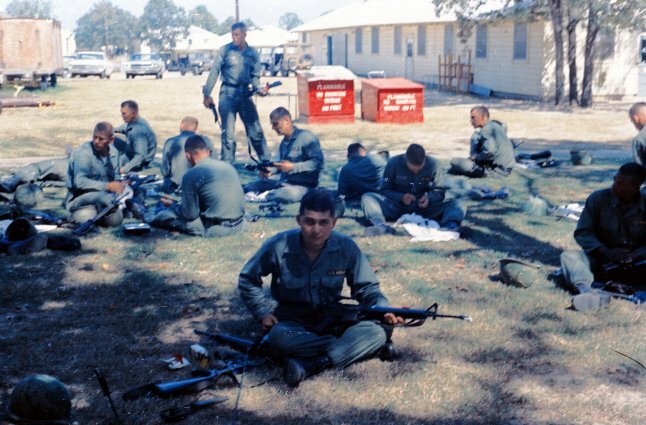 After a two week leave to visit our families, we deployed to Vietnam for 365 days of combat duty with Bravo Company, 2nd Bn, 8th Cav Regt, 1st Cav Div (Airmobile).